At Monday’s State Department briefing, spokesman Mark Toner was tasked with explaining the recent WikiLeaks revelation that showed a Clinton aide pressuring the FBI to alter email classifications for “quid pro quo.” In the emails, Undersecretary of State Patrick Kennedy attempts to change the email statuses to protect them from Freedom of Information Act requests. In exchange, he said he could provide the FBI additional overseas slots. The FBI has denied the report, with the State Department now following suit. It’s “inaccurate” and “insulting,” to suggest the FBI was engaged in this shady ‘quid pro quo’ practice, Toner insisted on Monday. "Classification is an art, not a science, and individuals with classification authority sometimes have different views," Toner said. "There can be applicable FOIA exemptions that are based on both classified and unclassified rules. ... We have been committed to releasing as much information to the public as possible, and ensuring that documents are withheld due to classification only when necessary to prevent damage to national security -- as the Executive Order on classification calls for." Toner also said no Iraq slots were awarded as a result of this email exchange. When Fox News’ Catherine Herridge pressed him on the issue and asked whether Kennedy would be fired as Reps. Jason Chaffetz and Devin Nunes demanded, Toner dismissed the request. “That’s their prerogative,” he said, before noting Kennedy is there to stay. 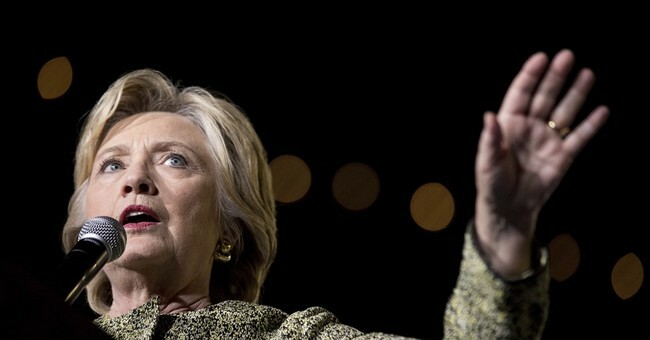 One fact Toner cannot explain away is that former Secretary of State Hillary Clinton knew she was jeopardizing national security by using a private email server.